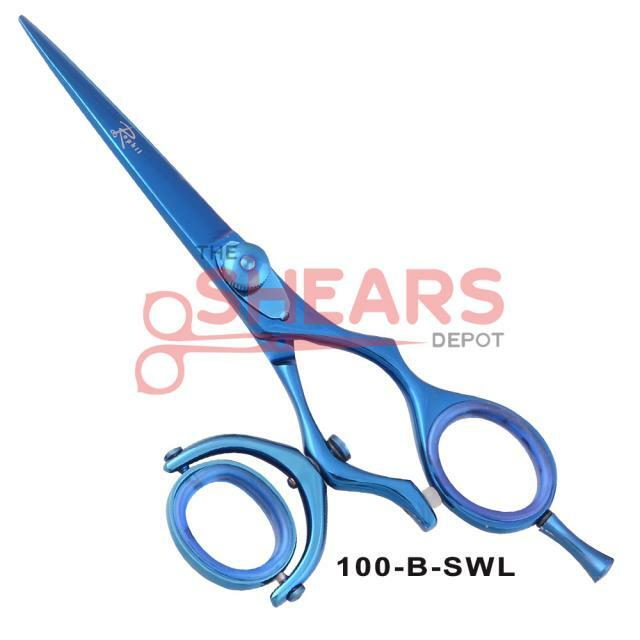 Has a double swivel thumb a very sharp Bevel edge, hollow ground, triple hand honed, clicking plates are adjustable with fingers, the adjuster knob has positive retention and clicks as you turn it, with silencer, removable finger rest, finger rings available in colors black, blue, pink, purple & green. 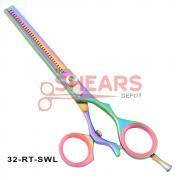 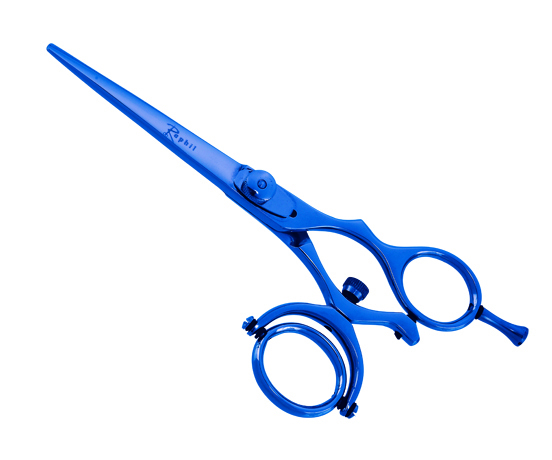 Excellent hair shear for hair cutting professionals. Made of 440C Japan Steel.